Slugger fans, if you’ve been following along and I know that you have, you know that the girls in green have been doing pretty well this season. 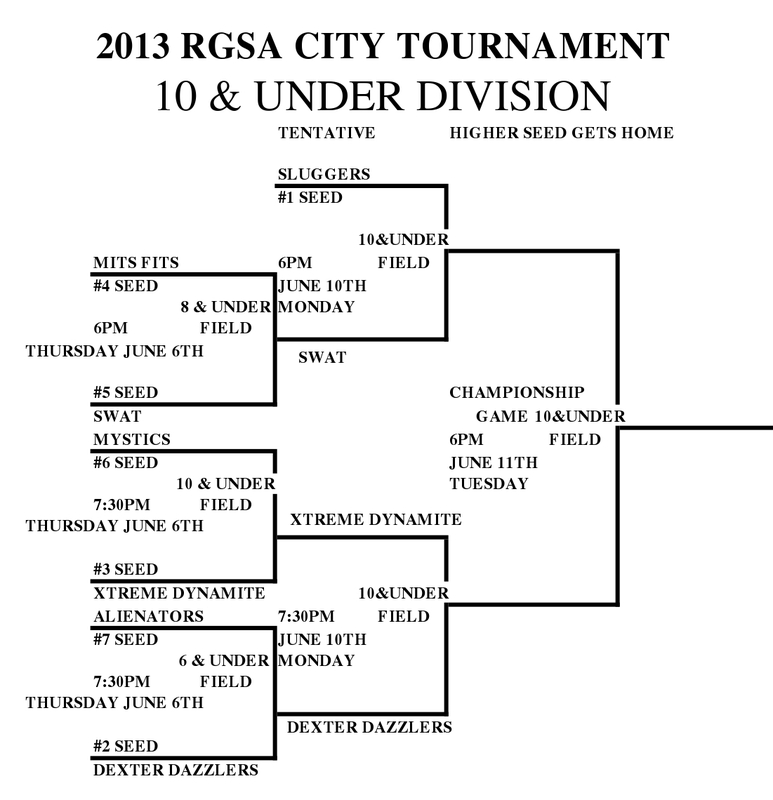 The Sluggers have only lost one game all season which puts them into the number one seed position for the end of season tournament. This position and the number of teams means that even though the RGSA Roswell City Tournament started today, the Sluggers didn’t have to play any games tonight and that’s awesome. The Sluggers didn’t have to play but a lot of other teams did. We posted the game brackets just the other day and now that the first round of games have been completed we can update. 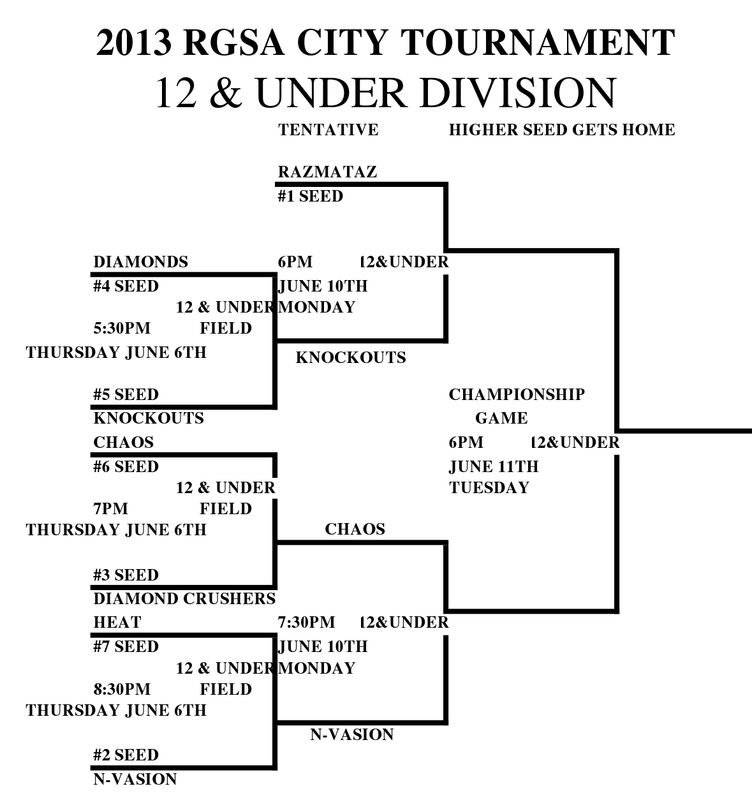 Here are the updated brackets for the 8U, 10U and 12U age divisions. 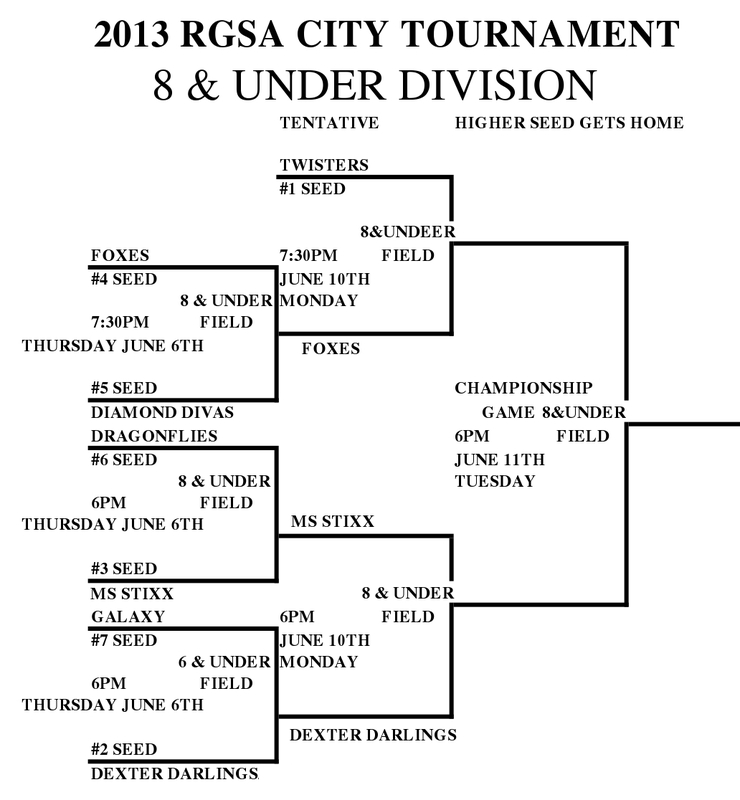 The 6U division will play their first round of games on Monday. This entry was posted in softball and tagged age divisions, Bracket, end of season, Games, Monday, photos, RGSA, Roswell, roswell city, Slugger, Sluggers, softball, Sports, Tournament, tournament games. Bookmark the permalink.